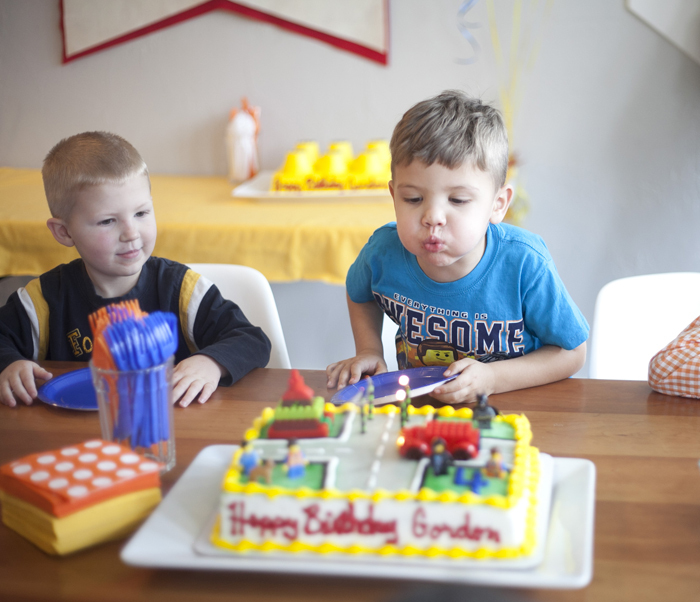 This little boy turned four a few weeks ago and we celebrated with a Lego party. You might remember him from his Batman 3rd birthday party, or maybe his first (football) birthday party that we shared right here on Pretty Prudent, You might also remember when he was born and introduced right here or even when I announced that he was going to be a boy with some chocolate mustache pops before mustaches were even a thing (I’m a visionary like that.) 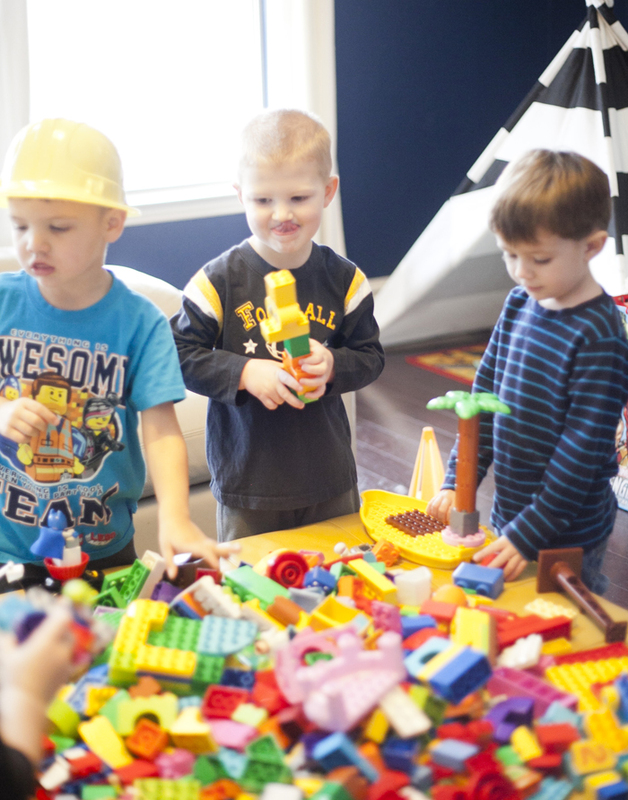 But now he is a big four-year-old boy and as many have been known to do, he is obsessed with Legos and so a Lego-themed birthday party was in order. We didn’t go nutso but did just enough to make it special and super fun. 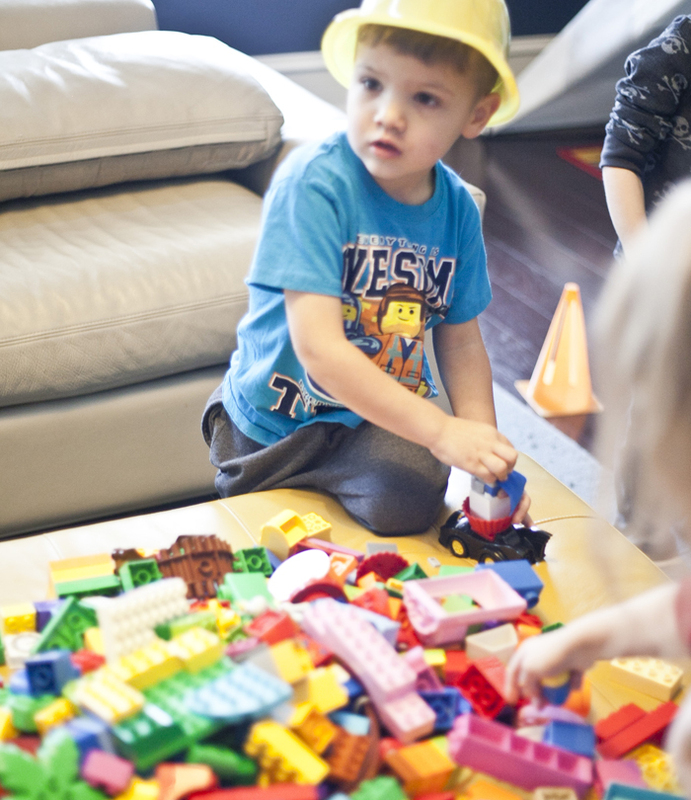 If there is a Lego party in your future, here are some of our favorite party tricks. 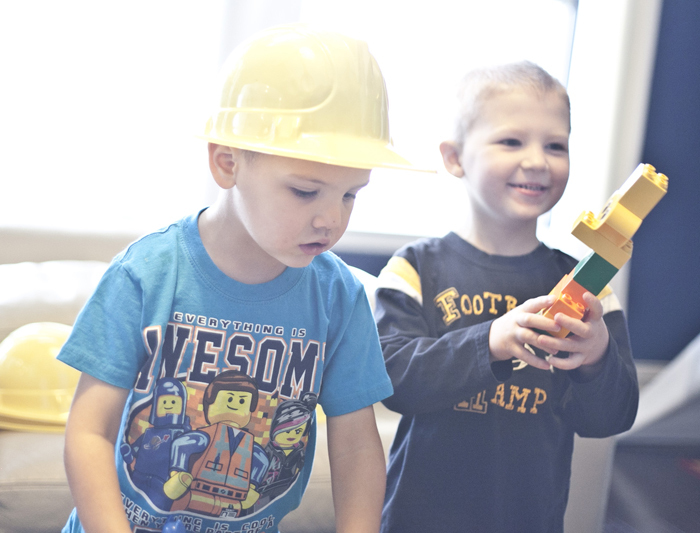 We started off by dumping all of our Duplos out on the living room and inviting guests to don a Construction Hat and get building as they arrived. 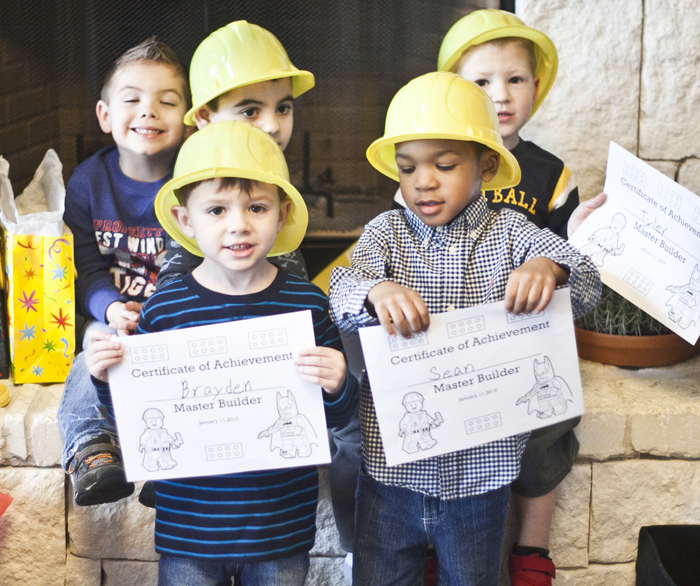 When everyone was finished, we handed out certificates of achievement for each of our Master Builders. 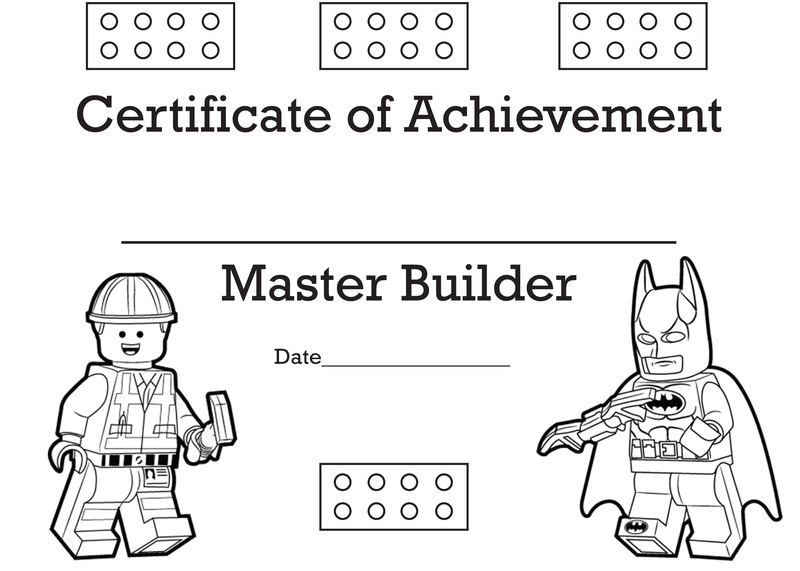 Download the Lego Master Builder free printable right here. Then they colored them with these amazing Minifig crayons. 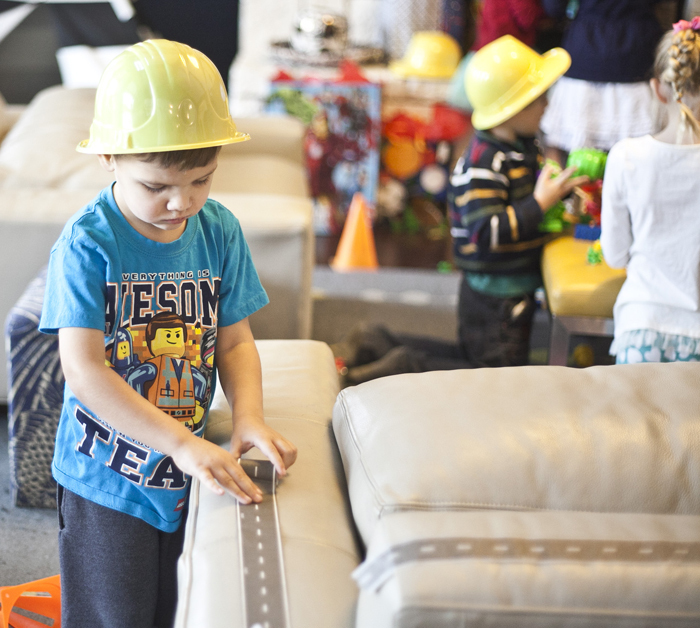 Next we each grabbed Block Vehicle Set to build. 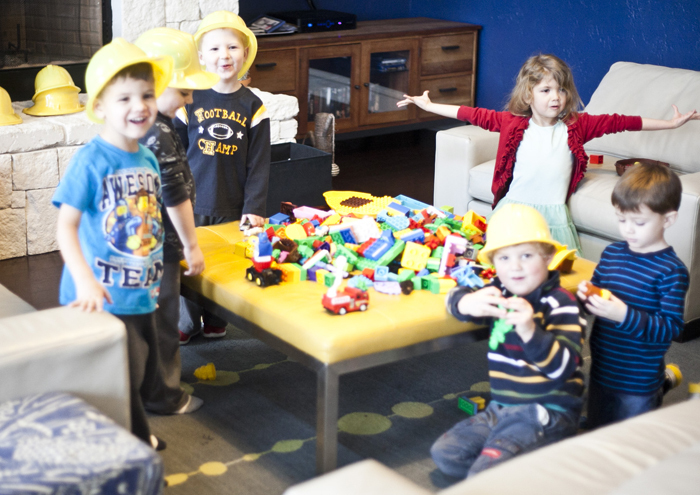 They were not real Legos but worked great as an affordable party option. 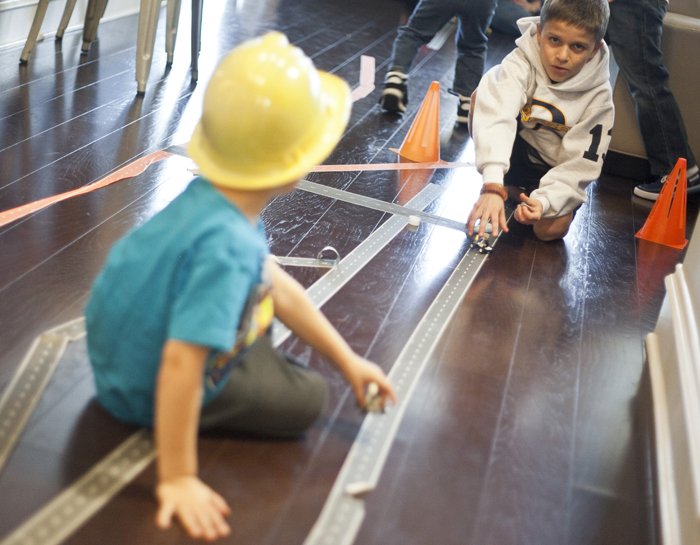 But I think the kid’s favorite part of the party was going crazy all over the house with road tape. They couldn’t believe their luck that this was allowed. 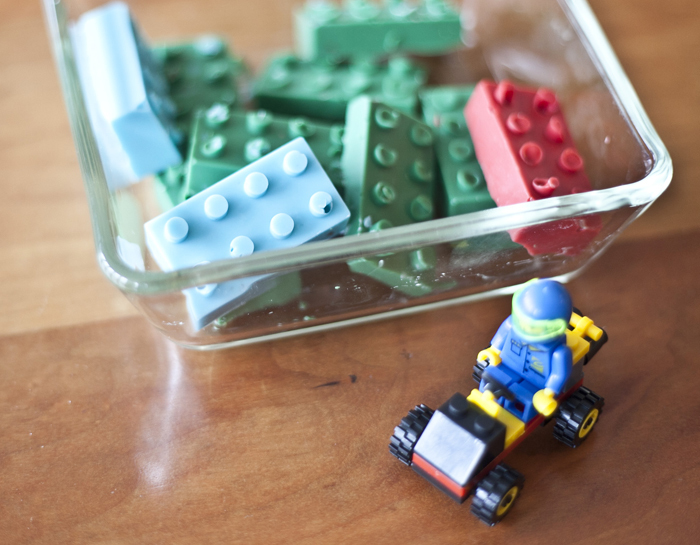 How cute are these quick chocolates that we made with a Building Brick Candy Mold? 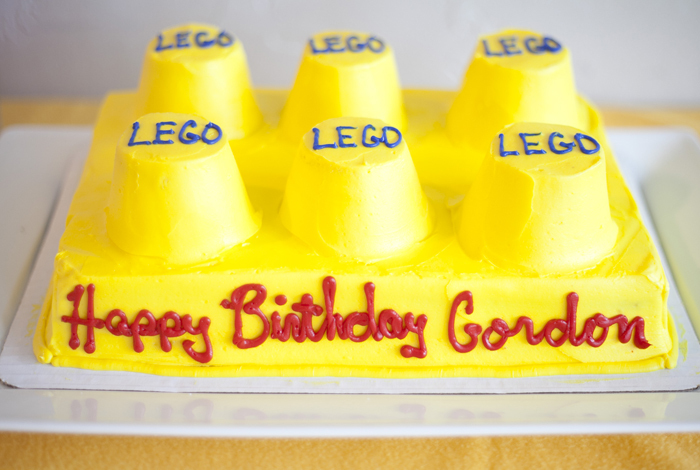 For cakes we went store-bought but I loved their ideas for simple Lego cakes that could easily be recreated at home. One was a rectangle with cupcakes on top to make a large Lego brick. 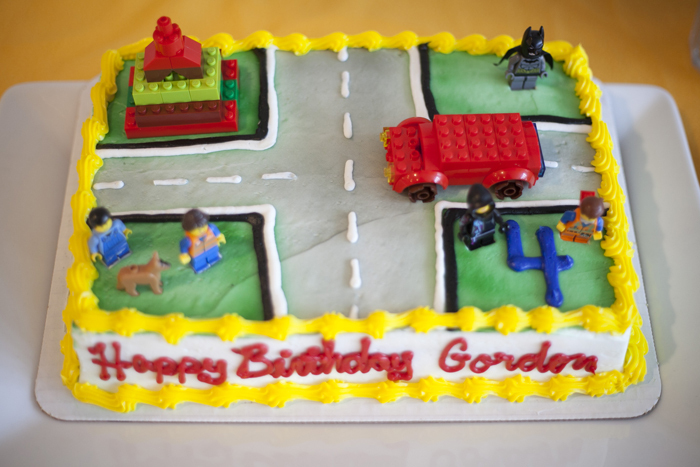 The other had a street block intersection that Gordon decorated with his own block creations. He loved being allowed to decorate his own cake! Of course the evergreen GORDON felt banner made an appearance. So handy! I think I’m used to the idea of “4” now but I’m already dreading “5.” How can he be that old? impossible. Everything about this party is awesome. Great ideas! Looks like the kids had a load of fun. 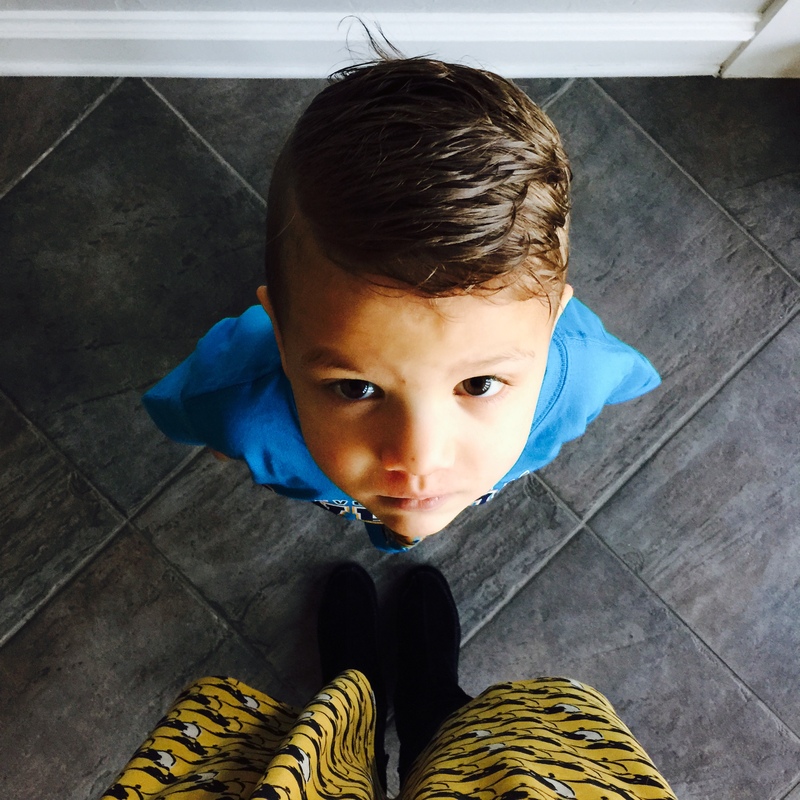 How is he 4?! Impossible! 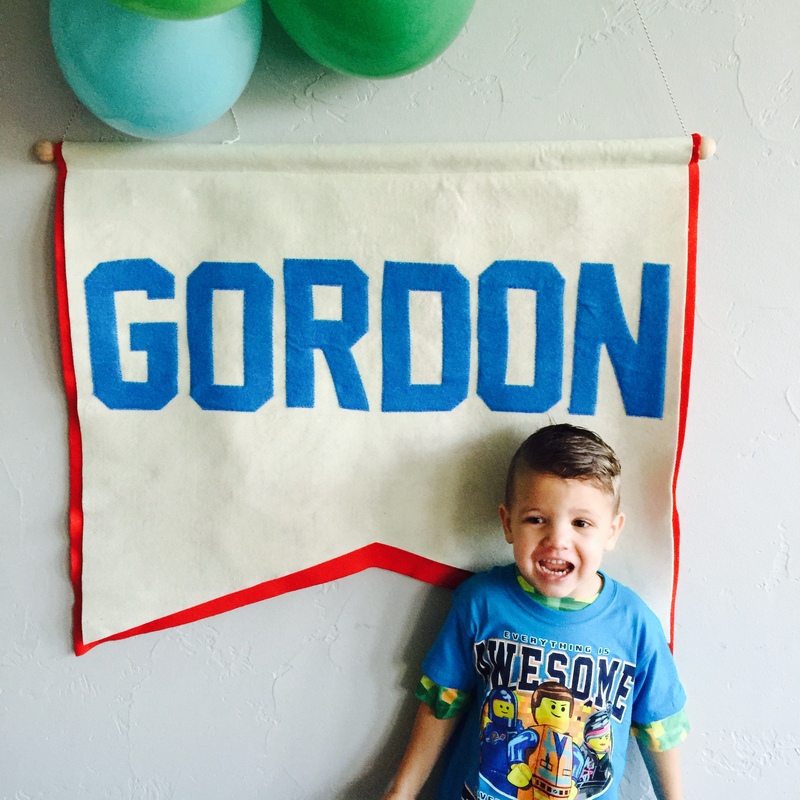 Happy Birthday Gordon!